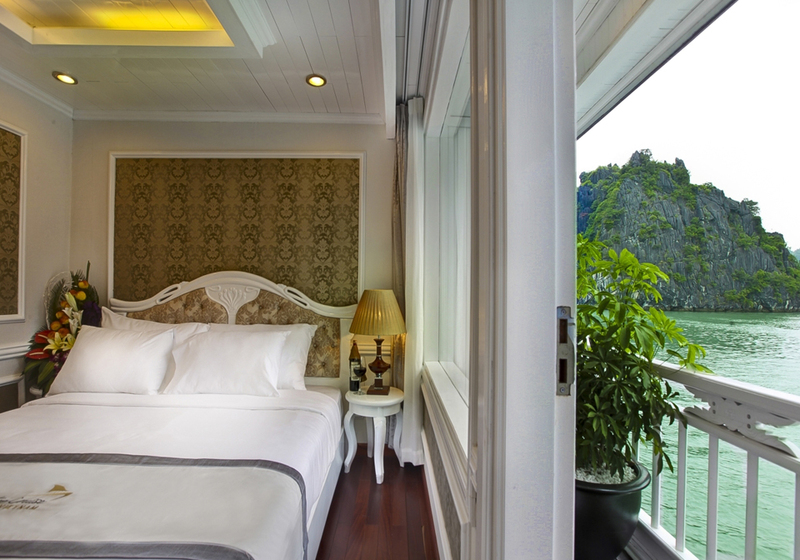 Viola Cruise 16 cabins are divided into three classes Deluxe, Suites and Luxury, all service provided, with central air-conditioning, en-suite bathroom and private balconies and heavenly-soft bed with wide open view to Halong Bay. 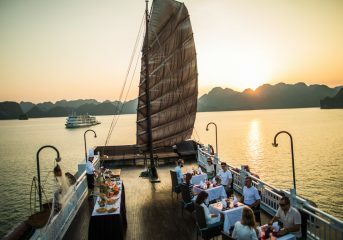 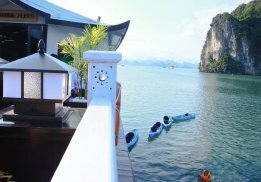 Viola Cruise free swimming, kayaking and snorkeling plus all the equipments one may need and interesting itinerary to explore the breathtaking beauty of Halong Bay. 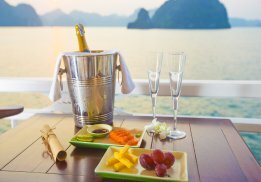 The cruise may last from 2-3 day depending on your demand.